The ASI Ratan Singh couldnt identify the officer as the latter didnt remove the mask from his face. Yadav went sideways and called his personal assistant to ask the ASI to let them go without telling him about the decoy operation. 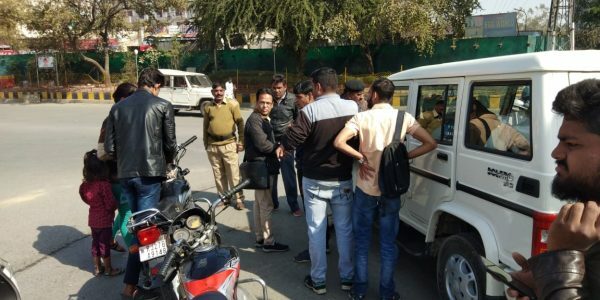 When the SP’s secretary called Ratan Singh Chundawat, he refused blatantly claiming that the rider violated major traffic rules. The caller persuaded the ASI and asked him to let the men go and said that the reason would be told to him later. Yadav rode around the city for some two hours and checked the functioning of the traffic team. 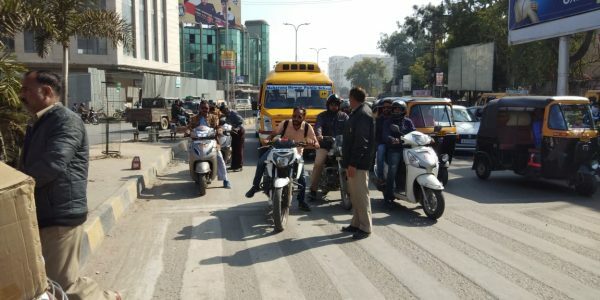 At Kankroli chopati junction a constable warned the officer not to ride without helmet and not drive with more than two persons on a motorcycle.